Pentax is launching its latest Optio digital camera model, the E30, at CES next week. The Pentax Optio E30 extends the Optio family, following the E10 and E20 models. It has a 7.1 megapixel CCD sensor, 3x optical zoom, a 2.4-inch LCD screen and can record movies at sizes up to 640x480 pixels. The built-in 'Green mode' automates the camera setup when shooting still images. A single button press automatically sets the exposure, sensitivity, white balance, and other parameters according to the shooting conditions. 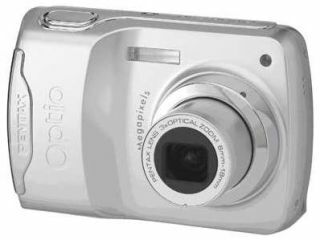 The Optio E30 will be available in the US from February for $150 (£77). Pentax could not say when the model will become available in the UK.